Shopping center “Passage” (Central Department Store). 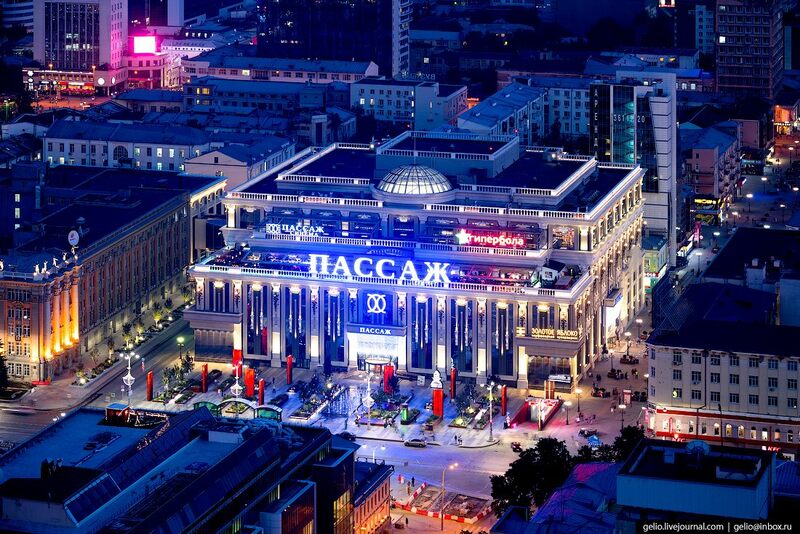 Pedestrian Weiner Street – “Ural Arbat”. 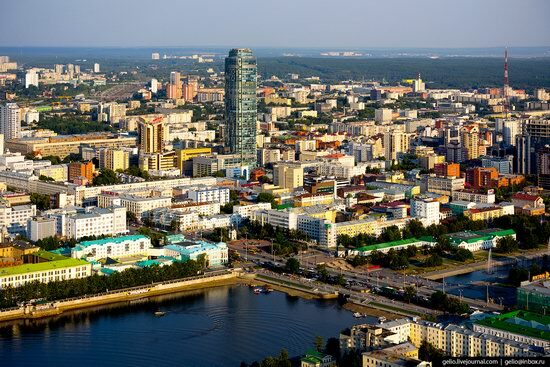 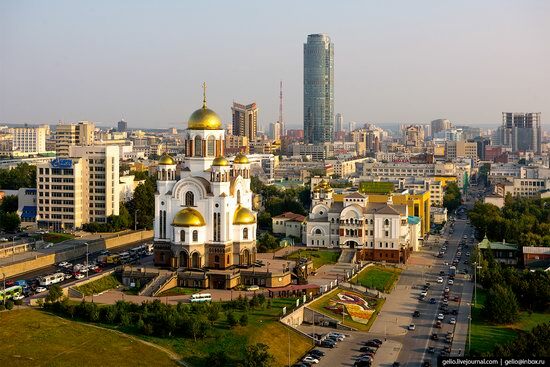 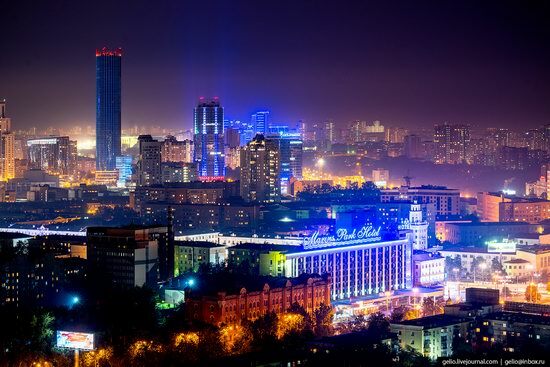 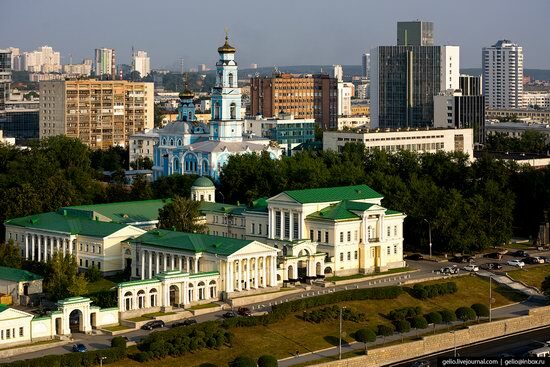 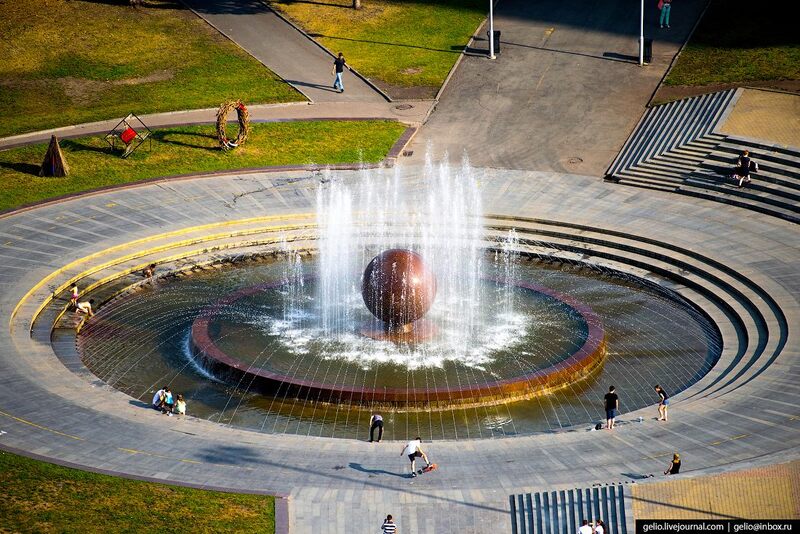 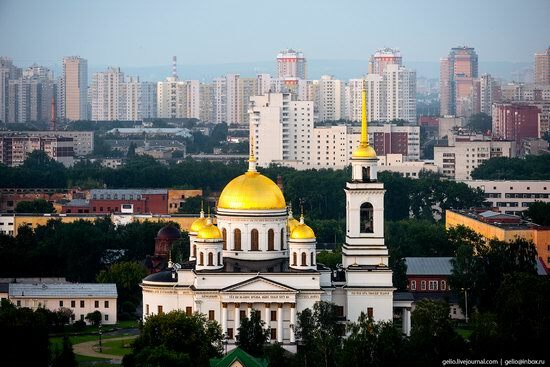 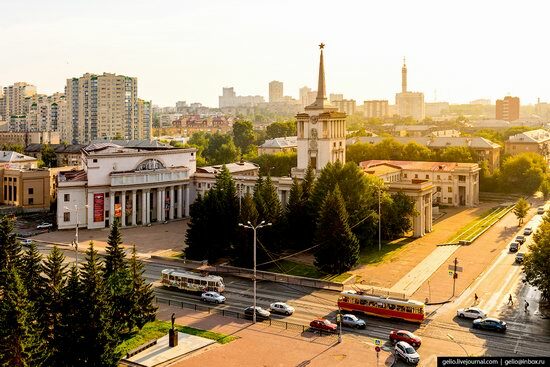 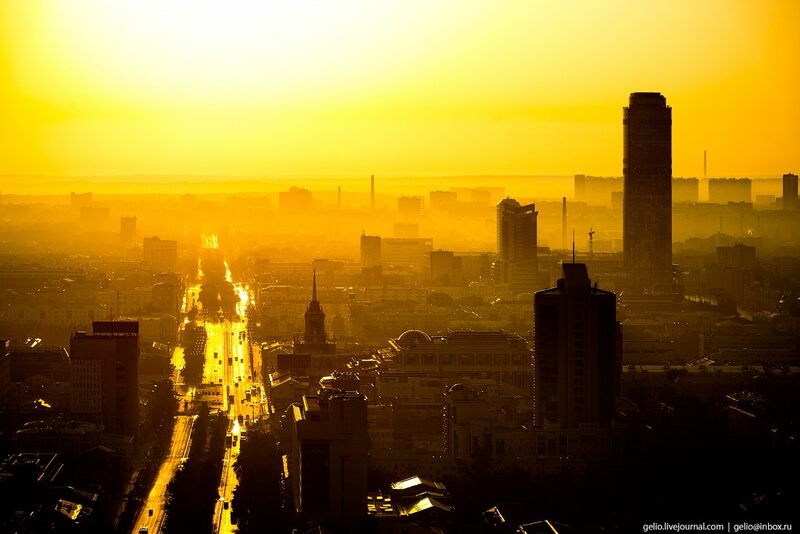 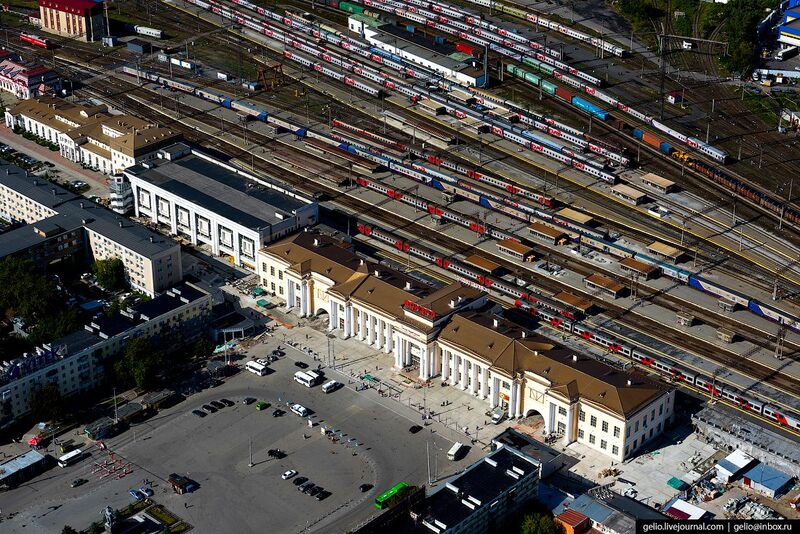 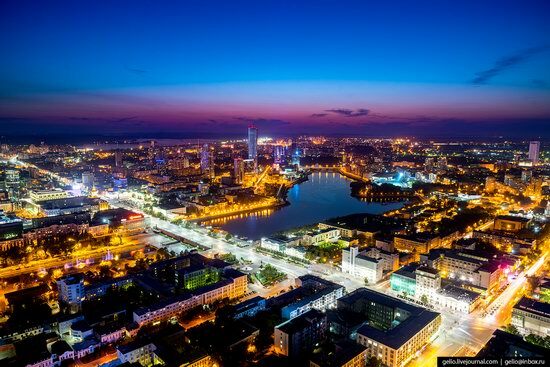 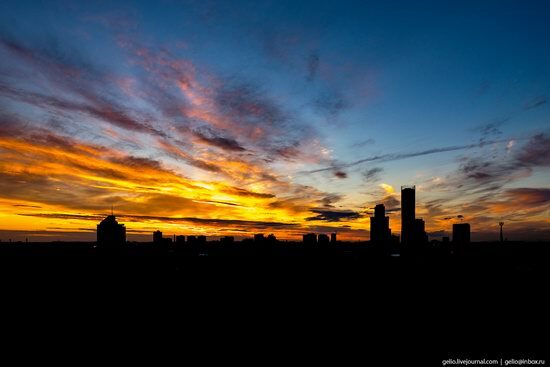 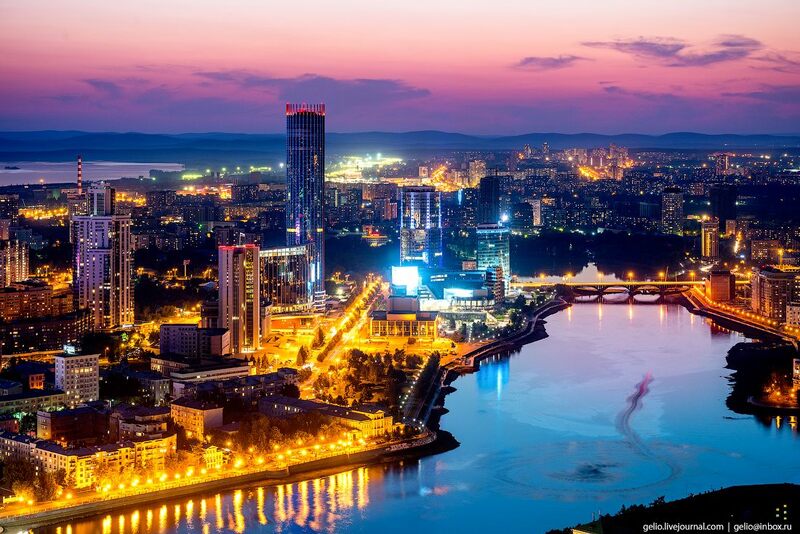 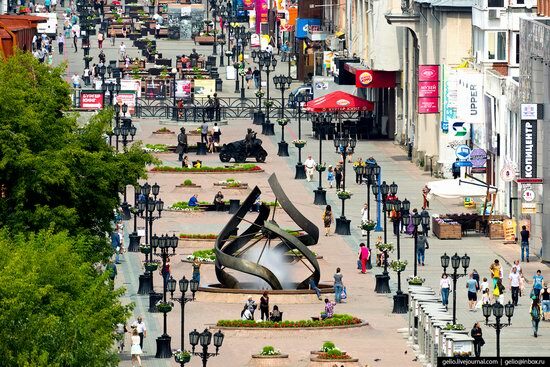 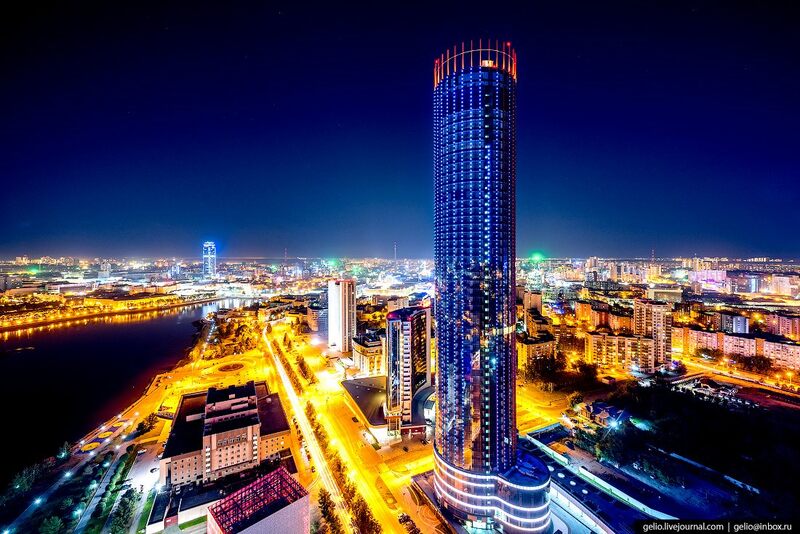 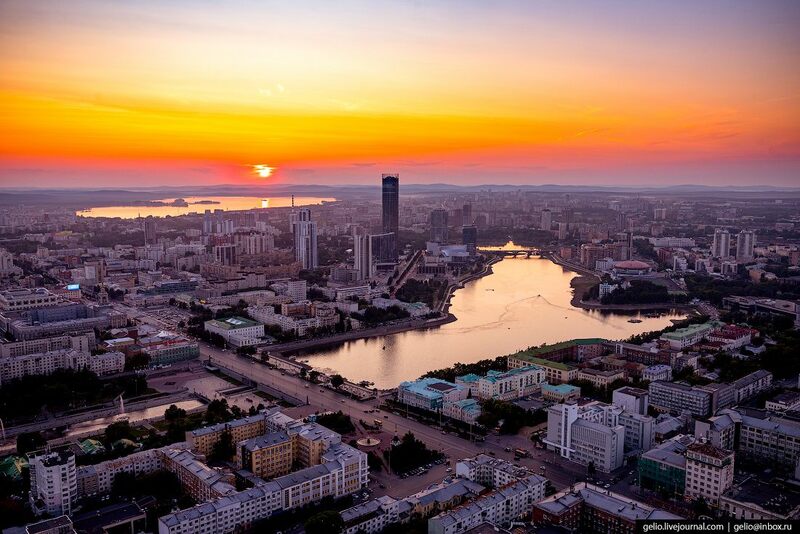 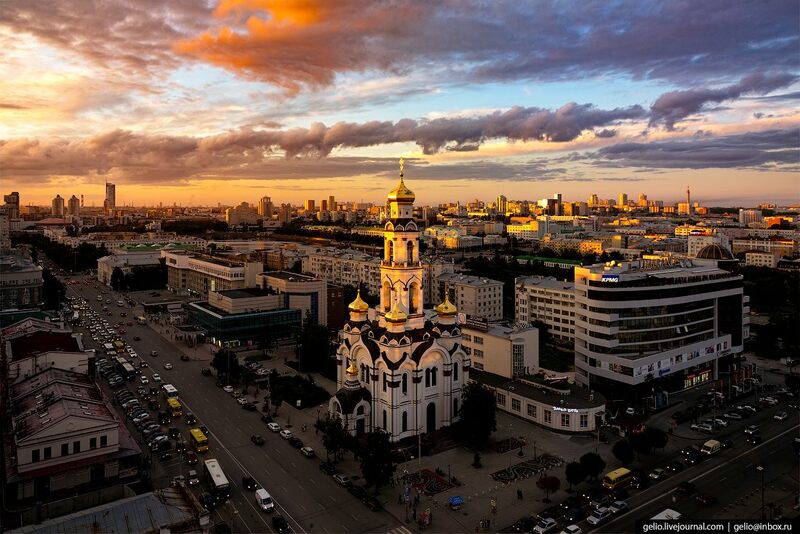 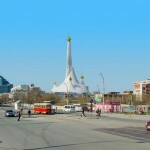 Yekaterinburg-City – a business and cultural quarter in the center of Yekaterinburg on the bank of the city pond. 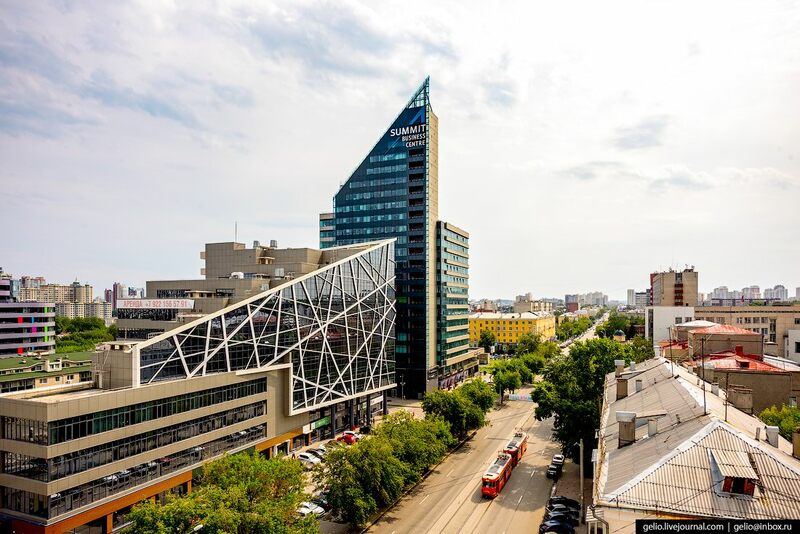 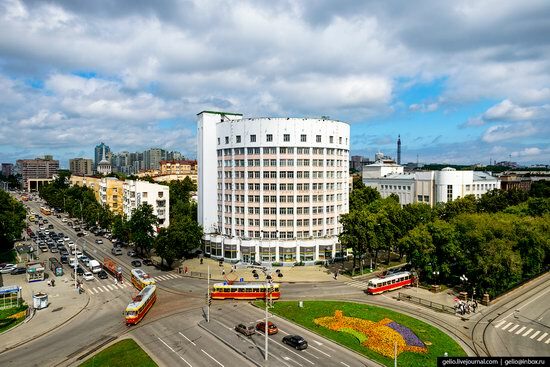 Yeltsin Center – a business, social and cultural center opened in 2015. 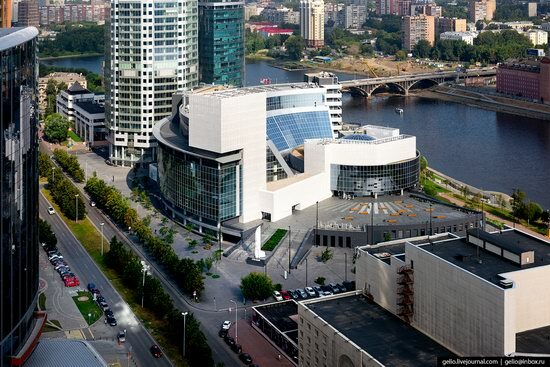 It houses the Boris Yeltsin Museum, a library, an archive, a concert hall, an art gallery, and more. 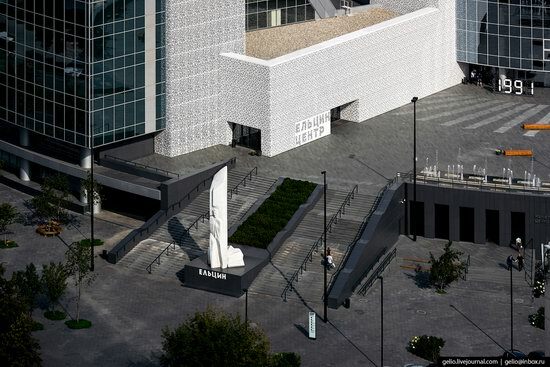 Monument to Boris Yeltsin – the first president of Russia. 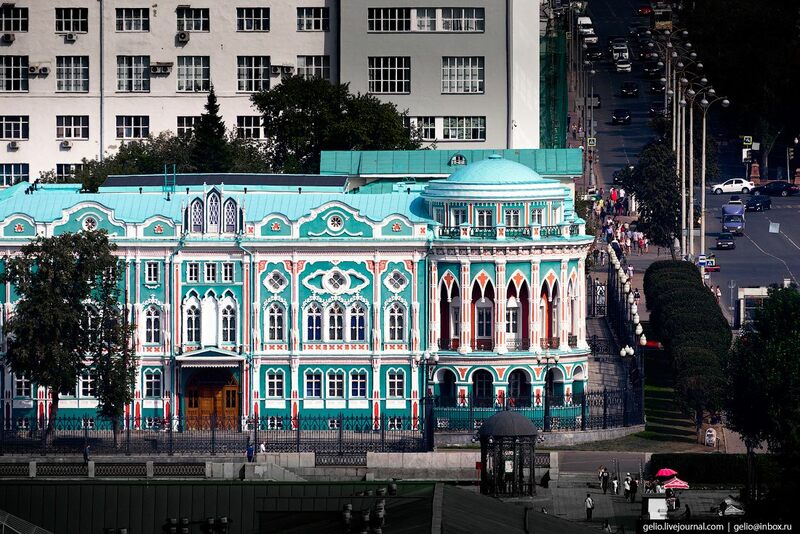 “Sevastyanov’s House” – a monument of architecture on the shore of the city pond. Hotel “Iset” (1929-1932) – a monument of constructivism. 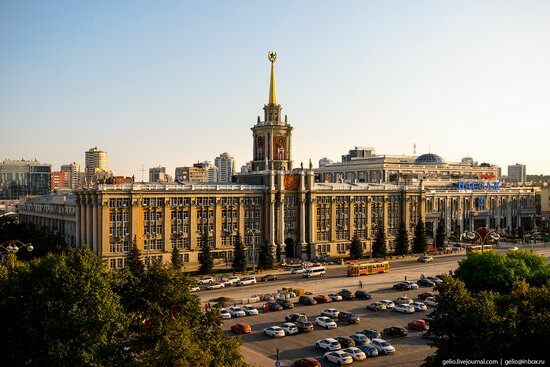 Complex of the District House of Officers (1932-1941). Church on Blood (2000-2003) built on the site of the infamous Ipatiev’s House, in which the family of the last Russian emperor Nicholas II was shot in July, 1918. 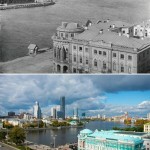 Kharitonovsky Park and Rastorguev-Kharitonov Manor (1794-1795). 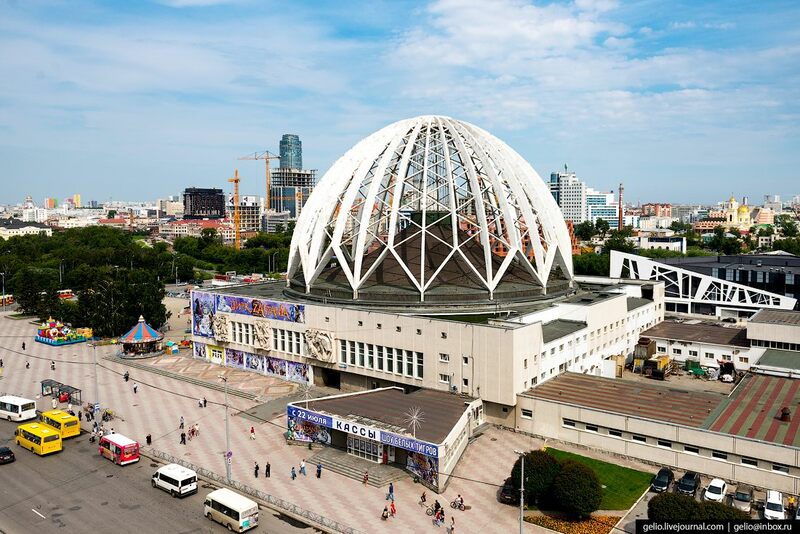 State Circus named after Valentin Filatov. 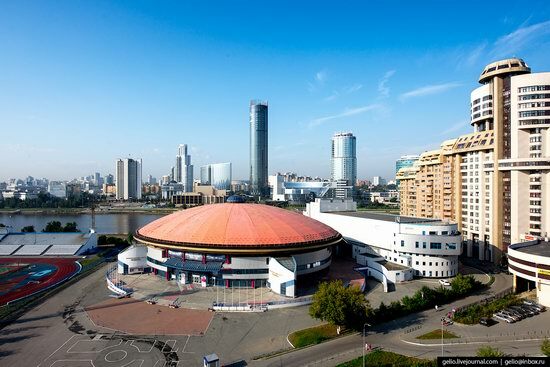 Shopping and office center “Arena” and the business center “Summit”. 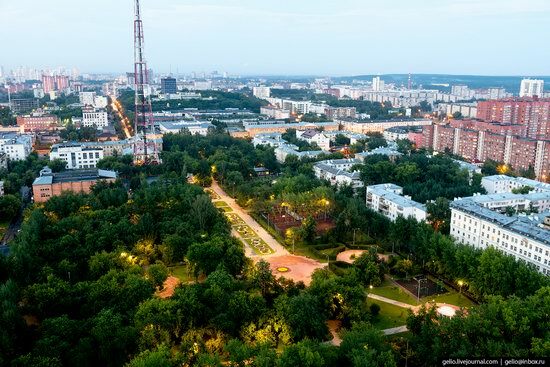 Public garden named after Pavlik Morozov. “White Tower” (Reischer Tower) – a water tower designed by the architect Reischer in the late 1920s, a monument of constructivism. 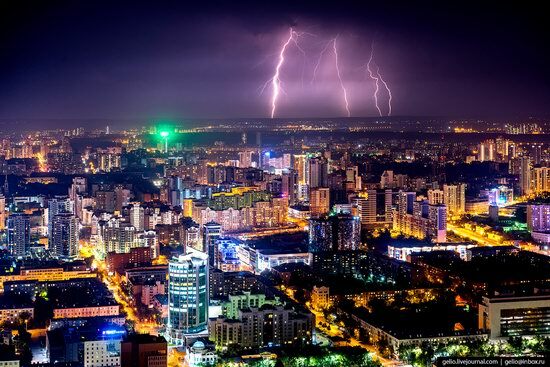 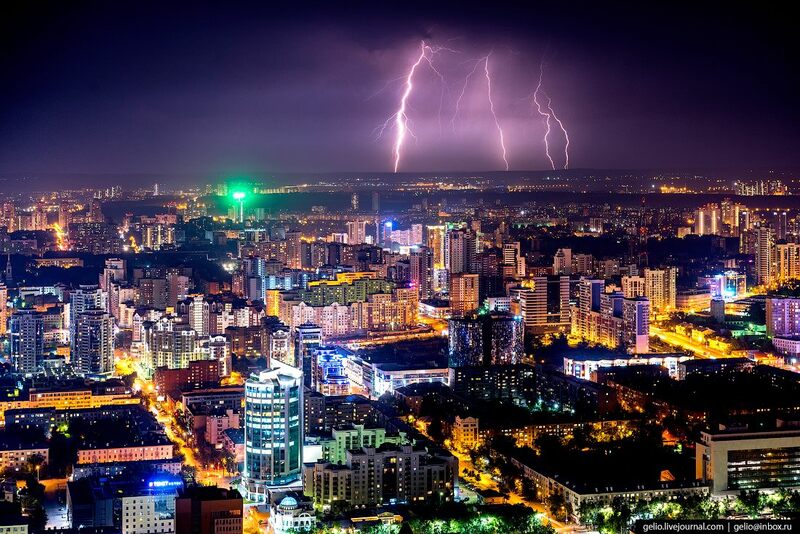 The average number of days with thunderstorms in Yekaterinburg is 28. 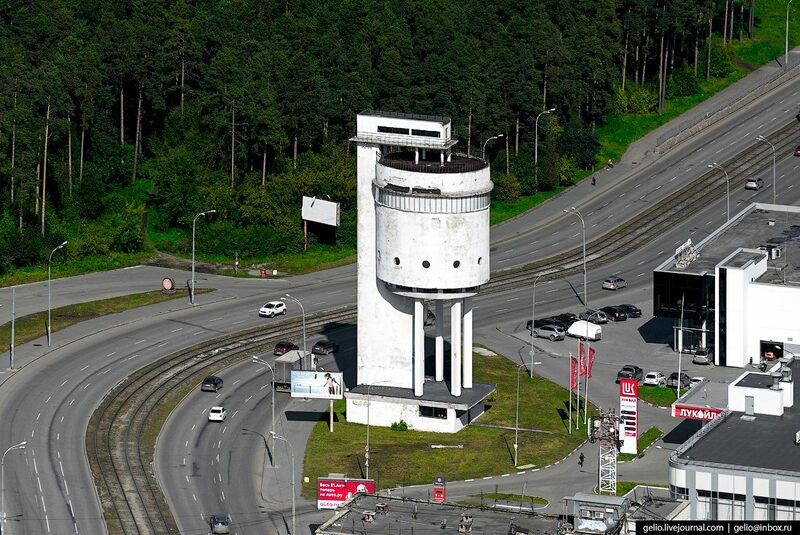 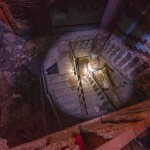 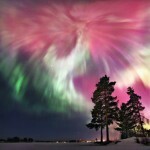 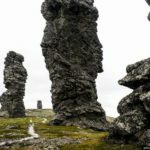 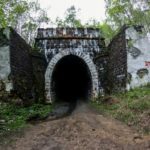 This is one of the highest rates in Russia.